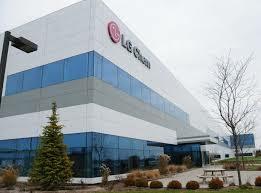 LG Chem Ltd., South Korea’s top chemicals company, said Wednesday that it has decided to invest 239.4 billion won (US$224.8 million) in two separate joint ventures with Huayou Cobalt Co., a Chinese supplier of the mineral. The deal underscored LG Chem’s efforts to secure a stable supply of cobalt, a key material in making electric vehicle (EV) batteries. Cobalt prices jumped to $95.6 per kilogram at the end of March, compared with $32.7 per kilogram at the end of 2016, according to Metal Bulletin, a leading provider of global metal and steel prices. The two joint ventures — set to be completed in China by 2020 — will have an annual production capacity of 40,000 tons of precursors and cathodes, respectively, an amount that can make batteries for about 400,000 EVs. LG Chem Vice Chairman and CEO Park Jin-soo said the joint ventures will help LG Chem further strengthen its cost competitiveness. LG Chem said it plans to boost the annual production capacity of precursors and cathodes to 100,000 tons each in case the demand goes up. Currently, the South Korean company is a key supplier of batteries to U.S. auto giant General Motors, Volvo and Renault, as well as South Korea’s largest carmaker, Hyundai Motor Co., and its smaller affiliate, Kia Motors Corp.
LG Chem operates electric vehicle battery plants in South Korea, China, the United States and Poland. Shares in LG Chem were up 0.68 percent to 370,500 won as of 10:08 a.m., outperforming the broader KOSPI’s 0.15 percent gain.